1Tac Tactical Pen Review – Is It That Good? Nowadays, it can be advantageous for you to have a tool for self defense should emergency situations arise. If you are looking for one that is truly functional yet is not bulky at all to bring with you then the 1Tac Tactical Pen is the product that you might want to consider. 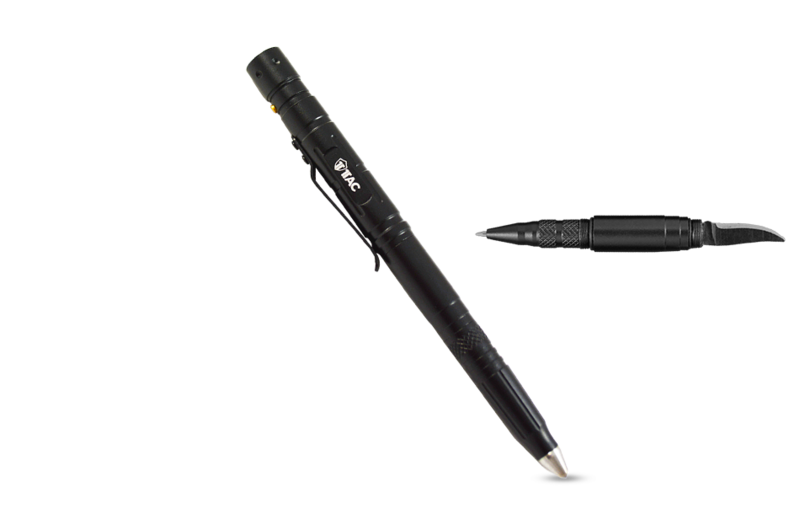 According to the official website; The 1Tac Tactical Pen is the World’s Finest Multi-Function Weatherproof Tactical Pen made from Lightweight, Durable Aircraft-Grade Aluminum. The instrument Includes a Tungsten Steel Glass Break Tip, Removable Steel Blade, Easy-Writing, All-Weather Medium Point Ball Point Pen, Integrated 80 Lumen Bright LED Flashlight. Featuring Diamond-Cut Non-Slip Grip. As elegant in the boardroom as it is effective in the field. The manufacturer claims that this product is truly useful and reliable despite its diminutive size. As the name goes, the 1 Tac Tactical Pen comes in the size of a standard pen, yet has a wealth of features that makes it great for self-defense use and other utility applications. It features an ultra-bright LED flashlight, has a razor sharp stainless steel blade on one end for self defense and utility use and also has a forged tungsten tip that can be used to shatter glass easily. The 1Tac Tactical Pen is also made of high quality durable materials and offers a non-slip grip as well for truly reliable use. With all these features, the 1Tac Tactical Pen can still actually function as a regular ball-point pen. The manufacturer promises that this pen is truly useful whether you need to write something or are in an emergency situation. The tactical pen has a weight of 1.23 oz. and a length of 5.90 inches. It has many effective & efficient properties that make writing simple and helpful to have. The pen is made of a Tungsten Steel, glass break tip, a removable steel blade, all-weather medium point ballpoint pen and an integrated 80-lumen bright LED flashlight. Its rugged matte black finish is similar to aircraft-grade aluminum, giving it a polished, professional look. The anodized matte finish features a diamond-cut non-slip grip diamond threaded, non-slip handle to combat impact force. With this firm grip, you can ensure a secure grip in any dangerous situation without the pen slipping off the palm of your hands.